While the British wolf’s teeth had flashed nearby, the states had neglected to adequately support their men in the field. With the threat rapidly abating, they were even less inclined to open their coffers. During the two years that followed Yorktown, the army continued to suffer for want of basic necessities. General Greene begged Congress and the states for supplies. His men suffered from lack of clothing and food. Many still went barefoot. With peace now casting its warm light across the nation, many civilians became convinced that it was republican virtue that had won the war. The Continental Army soldier, a hireling who had submitted to military discipline, was not a model of a free man. “Civilians could portray themselves,” historian Charles Royster has observed, “as the rescuers of the army at Valley Forge rather than the main cause of the army’s hardship.” In 1782 a Virginia official noted that “some how there is a general disgust taken place for” Continental soldiers. The officers, as Washington knew, had also spent “the flower of their days” fighting for a cause that often seemed hopeless. Like their men they had seen little pay. They nursed similar grievances. During the desperate months of 1780, with American hopes hanging by a thread, Congress had voted to give the officers half pay for life, the standard pension in the British army. In early 1783, as peace negotiations moved toward conclusion, the army’s leaders realized that the time to make Congress live up to this promise would soon pass. They changed the demand to five years’ full pay. They insisted that Congress amend the Articles of Confederation to allow the money to be raised through taxes. Events came to a head in March 1783. 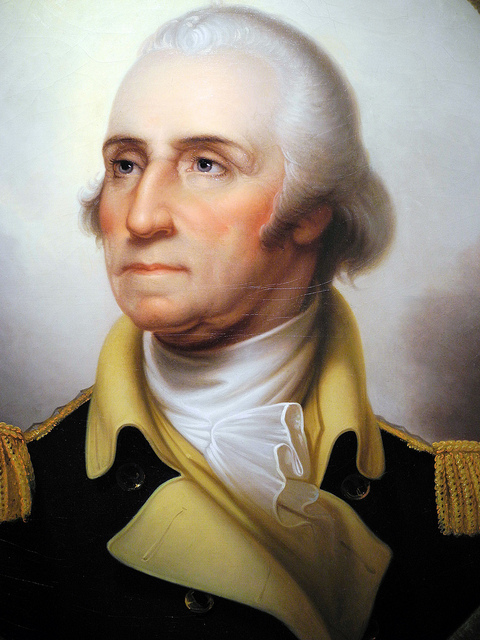 By this time, Horatio Gates was serving as second in command, overseeing the bulk of the troops outside Newburgh in New York’s Hudson Valley. One of Gates’s aides passed among the officers two anonymous circulars. They suggested that if Congress failed to agree to the officers’ just demands, the men should pursue one of two alternatives. If the war continued, they should refuse to fight and should lead the army westward, leaving Congress and the major cities to the mercy of the British. If peace was concluded, they should keep the troops under arms and march to Philadelphia to obtain what they deserved by force. The issue became part of a vitriolic debate. Opponents felt the war had been fought to get rid of just such special privileges, which would perpetuate an idle class of ex-officers at the expense of the yeomanry. Those who favored the officers’ position saw that these men had sacrificed eight years of their lives while others had tended their farms or made money in trade. They deserved recompense. What was at stake this time was no sergeants’ mutiny, but a full-blown military coup that could snuff out the infant republic. Conversely, any officer who even tolerated talk of mutiny could be court-martialed and hanged. He carefully planned his strategy, enlisting the help of Henry Knox. Like Washington, Knox sympathized with the officers’ plight but abhorred their attempt to bully the civil authority. It was a consummate performance by a skilled actor. Many of the men, who had lived through all the horrors of war, now wept. By the time Washington had finished reading and left the hall, the mood had changed completely. After a half hour of debate, Knox offered a proposal condemning the threats contained in the anonymous circulars that had touched off the affair and affirming the officers’ loyalty. It passed unanimously. The so-called “Newburgh Conspiracy” was over. The affair had served its purpose. Members of Congress were sufficiently spooked to comply with most of the officers’ demands. Urged on by Washington, they issued interest-bearing certificates for the five years’ pay and amended the Articles to allow for a modest tax.